Place bacon in a large skillet over medium-high heat. Cook until crisp. Remove bacon from pan, and set aside. 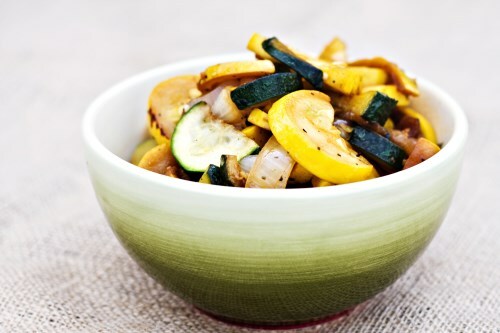 Add the squash, onion, and jalapeno to the skillet. Fry in the bacon drippings until tender, but still firm, stirring frequently. Crumble bacon into the skillet, and season with soy sauce, salt and pepper. Stir, to blend in seasonings, and serve.